Home Technology Google’s Mobile-First Index: What Does This Mean for Your SEO Strategy? Google’s Mobile-First Index: What Does This Mean for Your SEO Strategy? Google has been toying with the idea of mobile-first indexing since 2016. Given the rate at which mobile has become mainstream, it is natural for the search engine giant to consider mobile-first indexing seriously. Think about it. There are more number of mobile users and than web users. Studies by comScore also found that mobile users consume 2 times more digital minutes than web users. 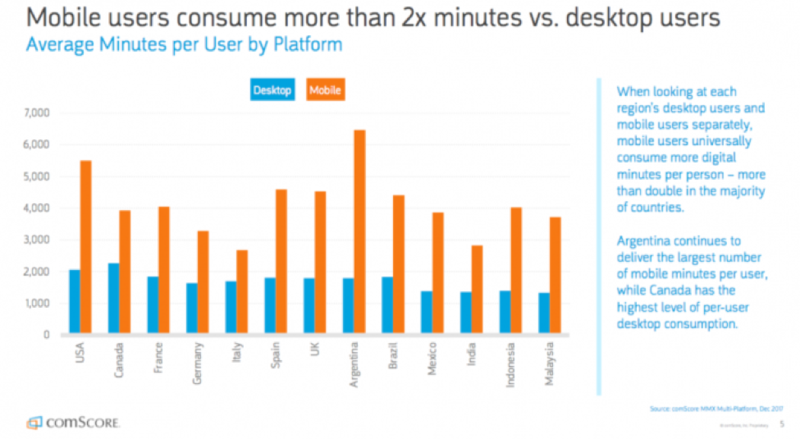 The average digital minutes spent on mobile ranged from 61% in the UK to 91% in Indonesia. So, it is natural for Google to adopt mobile-first indexing to match the shift in user behavior. Each time when a user keys in a search phrase, the search engine scrambles through its collection of data accumulated over a period of time through crawling of web pages. This collection of data about a website is called the search index. 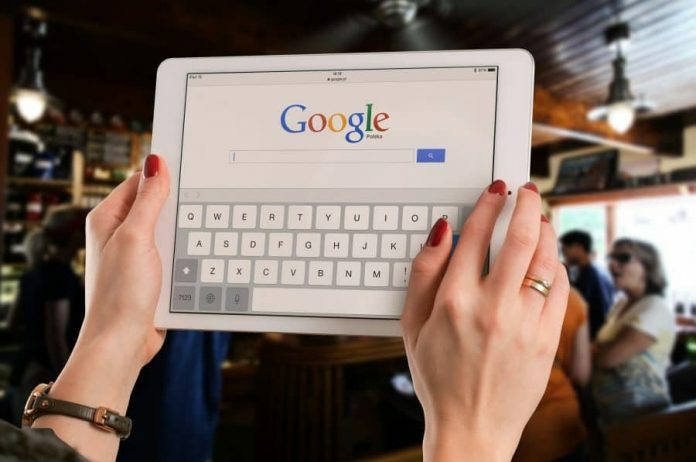 Until November 2016, when Google first started talking about the mobile-first index topic, the first preference was given to the desktop search index version of a website. The mobile version was kept as a supplementary version. The mobile-first indexing is all set to change that. However, the search index will continue to remain as a single index of both websites and apps. Google’s inclination towards a mobile-first strategy has been happening since 2010. During his first keynote at the 2010 Mobile World Congress in Barcelona, Google’s than CEO Eric Schmidt emphasized on the need for all developers to adopt a mobile-first stance. In fact, the search engine’s progress on voice search and image search was also highlighted by him. In 2014, Google introduced Mobile usability report to its Webmaster tools. The report would go on to help webmaster tweak their websites for maximum mobile friendliness. Google releases ‘Mobilegeddon’, the mobile friendly SEO update. With the update, mobile-friendliness was made a ranking signal for mobile searches. Accelerated Mobile Pages a.k.a the AMP Project – an open-source initiative that will enable publishers to publish lightweight web pages that will load instantly (almost) on mobile devices was launched. Mobile web pages with AMP enabled will get higher search engine ranking than the rest. In its November 2016 blog, Google announced that it is on the works to roll out a mobile-first indexing SEO update. In March 2018, the roll-out update was announced (Google Blog). How to prepare for the mobile-first indexing SEO impact? The crux of the update is that webmasters will have to make their websites more mobile-friendly. Responsive designing is no longer an option, but a mandate if you want your website to be spotted on the top SERPs. Here is what you need to do to retain your SERP position even after the mobile-first indexing update. Unlike its usual method, the mobile-first indexing update will be rolled out first for those websites which already have a mobile website. So, keeping your mobile website at par with your desktop version is a mandate. This means optimizing your mobile website with the same content, website links, user experience, etc. Apparently, Google will not be notifying whether your mobile website is indexed or not. And, building and launching a mobile website in haste can backfire too. The best thing you can do is to review your existing mobile website and see how mobile-friendly it is. Google’s very own mobile-friendly test tool can help with that. If you have missed to consider the mobile-friendliness of the images in your website earlier, now is a good time to fix it. Because, heavy images can bog down your website’s loading speed on mobile devices, may not fit snugly to the screen edges and also run into the several other alignment issues. Optimizing your websites images for mobile friendliness in terms of size, dimensions, resolution, etc. can certainly be beneficial. One thumb rule remains the same for desktop or mobile websites. Security is paramount. Mobile-first indexing will take into account the security quotient of your mobile website. Encrypting it with a SSL certificate is necessary to tick right the security ranking signal of Google. And, don’t think that an SSL certificate and its encryption is just to impress Google’s search crawlers. It can also help in highlighting your browser as a ‘Secure’ one in the eyes of the user. This will definitely help up your website’s trustworthiness and credibility. You should buy cheap SSL from SSL2BUY to secure your website. There is a fog of confusion covering the mobile-first indexing update. Although Google has been blogging a bit about it, there is no definite update on how it will impact the SEO results. If Google is to roll out suddenly, many websites will find their websites losing the SEO battle. But, the big update is coming for sure. After all, mobile is the way forward. What webmasters can immediately do is to prep their website for mobile-friendliness. It is better to make subtle changes that will make their mobile website load faster. Any big structural change should be done after a concrete update from Google. Until then, fix the basics to make your mobile-friendly. Optimize your images for web-friendliness. Encrypt your website and bring the mobile experience at par with web experience.